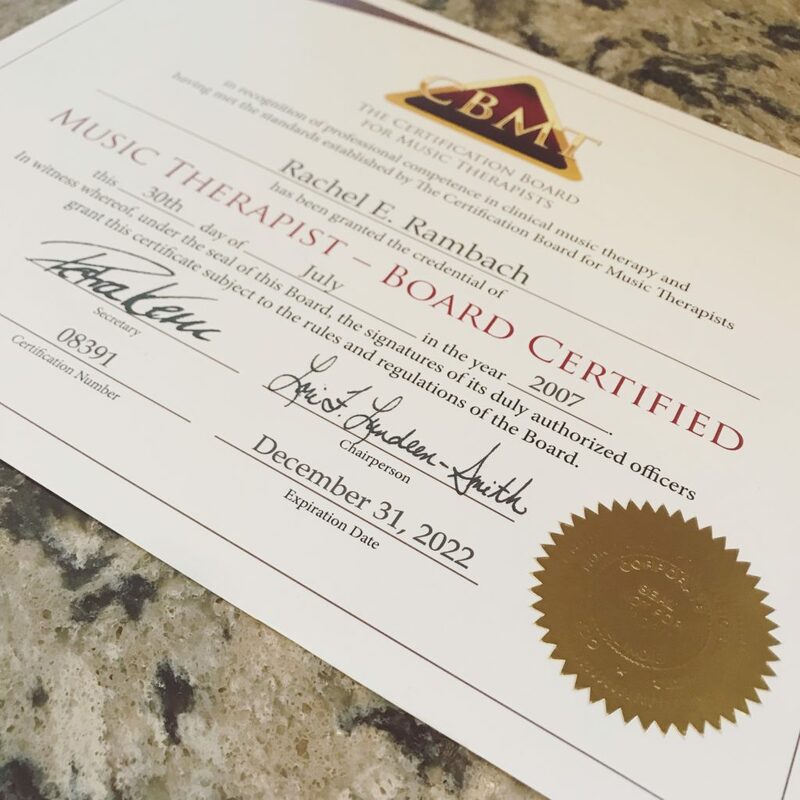 The last couple weeks, I’ve been sharing a lot about the process of becoming a board-certified music therapist. It really wasn’t that long ago, however, that I was a beginning music therapy student, taking introductory courses in music therapy, and wondering how my head knowledge of music therapy content could eventually translate into skills and application with real clients. In this post, I hope to share insight as to what being a music therapy student really is like, and also talk about the things I wish I had known along the way. Know your blind spots, and make a plan. All of these involve a high degree of discipline and self-awareness. As you start out in your studies, what areas listed above are you avoiding or make you tense up? Know that it’s okay to not be where you want to be right now. You’ll get there. Be honest abut where you are right now, and be proactive about how you can practice, study, and get more comfortable with the things that scare you. It’s not always about the grades. One of the most important things you will learn to appreciate about being in a school environment is that it is a place where a lot of personal growth happens, critical thinking is encouraged, and opportunities to go beyond your comfort bubble can occur. That being said, take time now, before you graduate, to explore your identity: who you are, both as a student and outside of school. Part of being a music therapist is being able to have a strong identity, to be aware of self-biases, and to be open to other cultures outside your own. You might not get into all the classes you want, you may not have enough hours in the day, and it might be easy to compare yourself to others. Know that you may not have control of every step in your journey, but what you can control is an attitude of gratitude. Take a step back, and remember, you have the best major in the world. Then keep going. For more information on majoring in music therapy, you can read this helpful article. Feel free to leave a comment or send me an email! I am so excited to share with you that we will be releasing the Functional Sign Language Song Crate CMTE course on Tuesday! In this course, you will learn how to sign nine songs and receive practical applications for use in your sessions. I use sign language every day with a variety of populations and ages. I want to share with you a few of my favorite stories of the impact of sign language in music therapy. 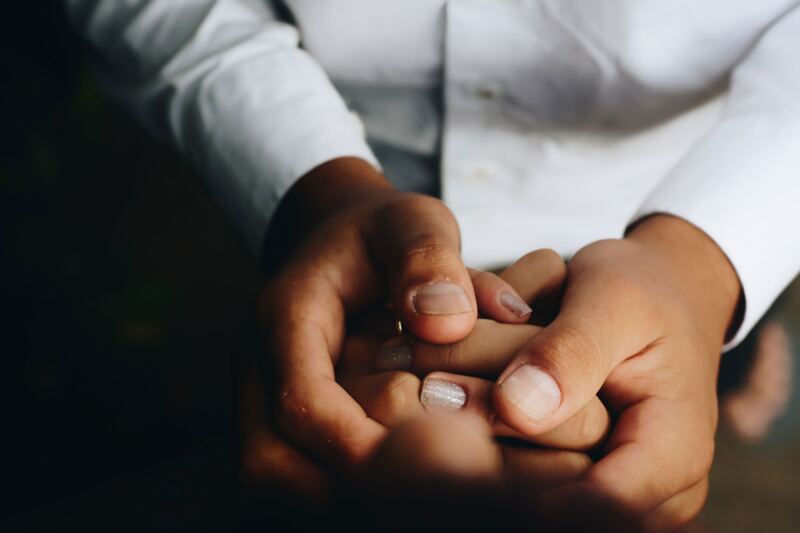 I was working with an adult with a developmental delay in an assisted living facility who was very emotional and experienced separation anxiety with many staff and people in her life. She had experienced the loss of close family members and her goal was to begin processing those emotions. We used “Bring on the Rain” by Jo Dee Messina every week. I started by teaching her the sign for “rain”. She quickly caught on and I began adding a few more signs week to week. When she felt defeated, we would refer back to the song. As I taught her sign by sign, we broke down the meaning of the song in a way that was simple and clear. By the end of that treatment period she had learned the whole song. She was smiling much more and crying much less. 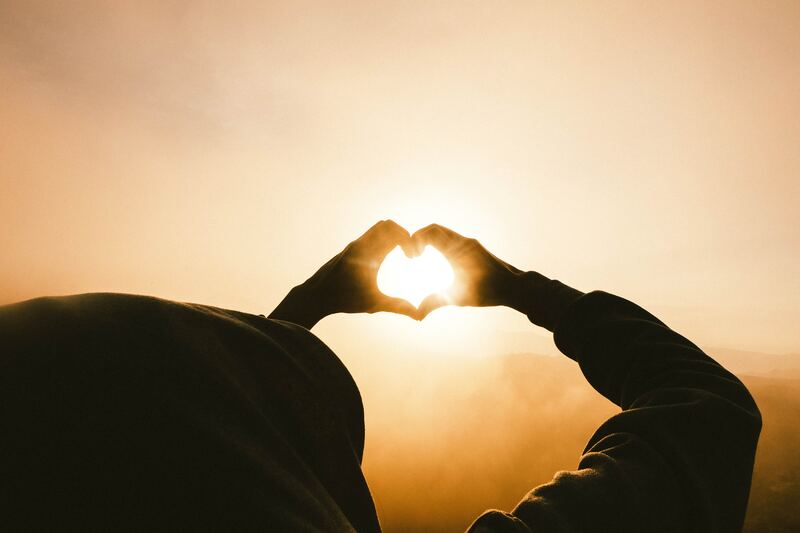 It was clear that it had a positive affect on her self-esteem and gave her an opportunity to explore her emotions in a more structured and safe way. I spend approximately 12 hours of my week at a school for children with autism, cerebral palsy, adverse behaviors which require additional support staff, and in general, multiple disabilities. I serve these children ages 10-22 with group and individual music therapy. I had a client whom I was seeing in the group and individual setting when we began working on increasing her appropriate self-expression and limiting her self-injurious behaviors (i.e. biting, hitting, pinching, pulling hair, etc.). When asked a question, she would often begin a self-injurious behavior. She was able to speak, but struggled at the time to use that speech as a method for effective self-expression. The client was encouraged in class and other therapies to verbalize, but her growth was slow moving. 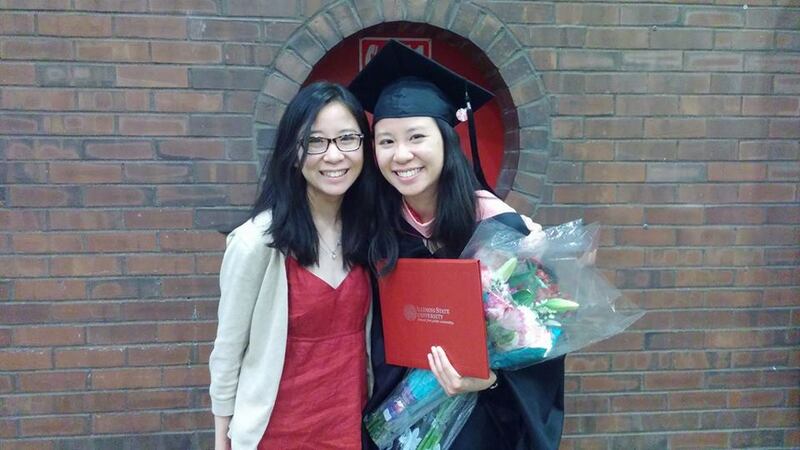 When she started individual music therapy sessions, I decided to try something different. I wanted to focus on using sign language as a way to decrease her negative behaviors and then build verbalization on that. We started with simple signs like “hello”, “wait”, “please”, “all done”, “help”, and “more”. She learned these signs much more quickly than I had anticipated and so I began to add more signs like “help”, “eat”, and “bathroom”. I began signing everything I spoke or sang in her sessions, and she began learning signs more quickly than I could teach her. Soon thereafter, her behaviors dramatically decreased and she was promoted to a life skills classroom where she can receive support to challenge her academic skills and build as much independence as possible. I regularly use sign language within the early childhood setting to support speech development and social skills in our youngest little ones. 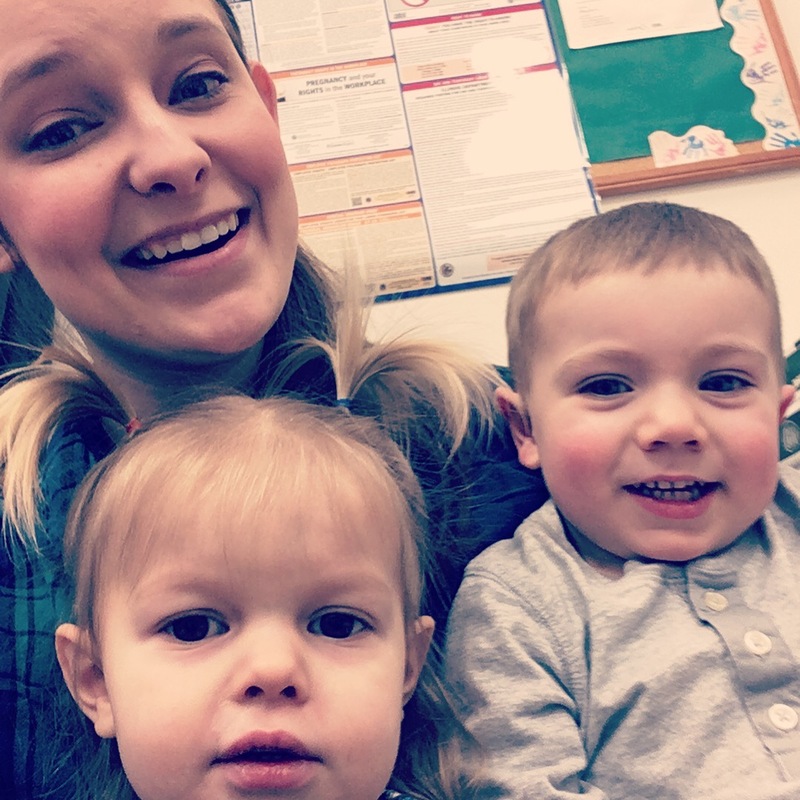 They may not always be able to isolate their fingers to perfectly execute the sign, but if they are able to increase self-expression and communication in support of those very important developmental markers, then they are off to a wonderful start on their expressive journey! I am a believer in the potential for sign language in music therapy. Be on the lookout for the course release early next week to explore how sign language can be an effective tool in your practice! When you hear the words “Hill Day”, what images come to mind? A celebration of rolling green hills? Marching up an incline with great conviction? To be honest, when I heard about Music Therapy Hill Day a couple months ago, I didn’t have much of a clue either. Simply put, Music Therapy Hill Day is when music therapists and music therapy advocates come together to represent music therapy and the current needs of the profession. More importantly, we come together at the state capitol to converse in person with our house representatives and senators. The relationships that are built with those in office have been instrumental in not only having our voices heard, but also in shaping future legislation that could provide greater access to music therapy services for the public from qualified music therapists. The day before Hill Day finally came around, and here I was, not really sure what to do or what to expect. Having been told to contact my senators and state representatives, I located my district, called my senator from my local district, and within minutes got a call back from his staffer notifying me that my senator carved out time in his schedule to talk with me about music therapy. With a meeting scheduled with my senator and my fellow MTC music therapists to accompany me to the capitol, I felt a greater sense of resolve and looked forward to what the next day would bring. 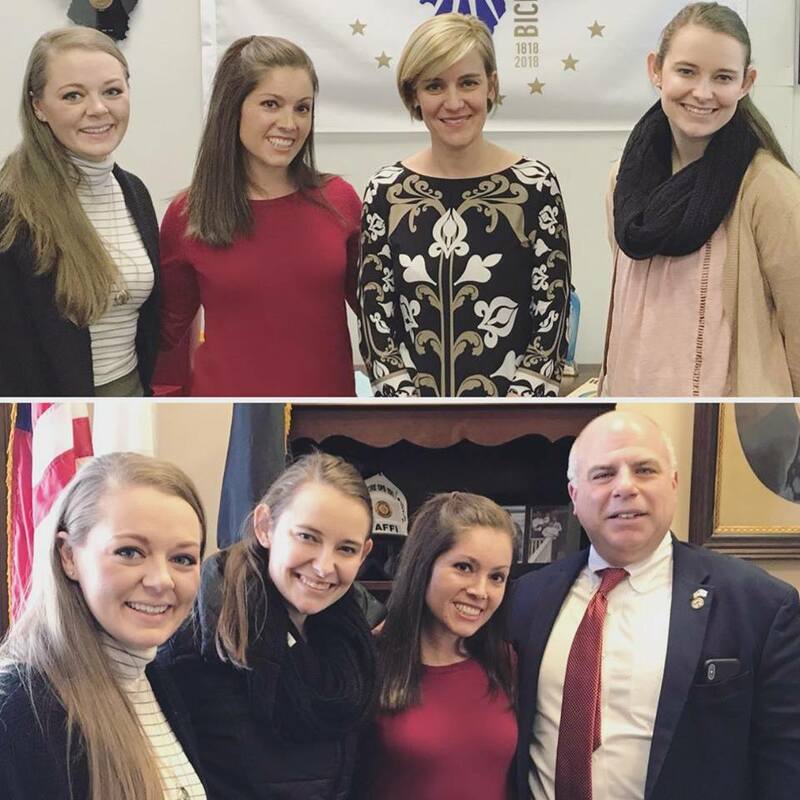 As I walked into the capitol building the next morning, I got the chance to meet other music therapists, student music therapists, and music therapy educators who had traveled to Springfield. To me, it was amazing to see so many different individuals from all points in their careers passionately representing music therapy. There were even several, like me, who were attending Hill Day for the first time. 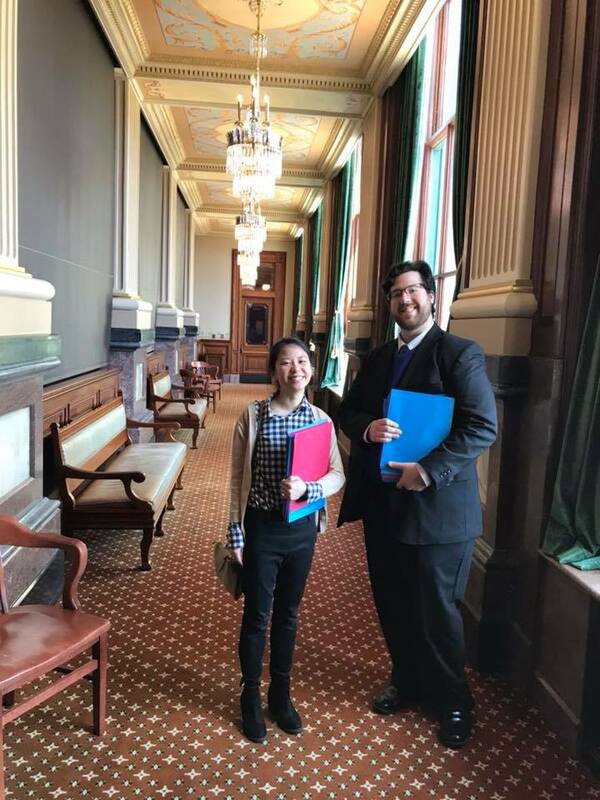 The day was packed with hand-delivering folders of information to Illinois state representatives and senators, personally meeting with Senators about a bill that would implement licensure for music therapists in Illinois, and getting to know other seasoned professionals who were at the forefront of music therapy advocacy and education. Before I knew it, my small part in laying the groundwork for greater awareness for music therapy in Illinois had come and gone. Rachel, Katey, Alisabeth, and I all had opportunities to share not just about the frequently asked questions regarding music therapy, but specifically how our local Springfield community has benefited from the services we provide here at Music Therapy Connections. 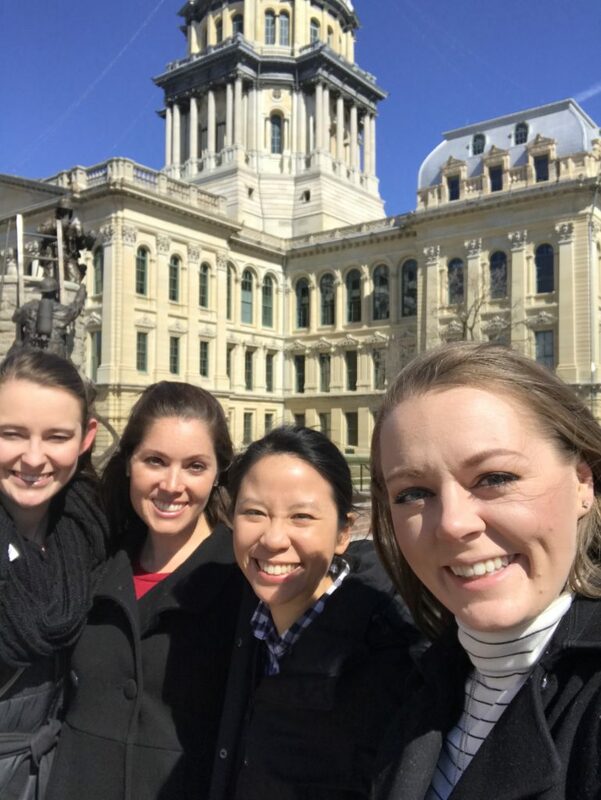 As we all ended the day eating lunch together, I felt a great sense of privilege for being a part of a workplace that cares about its community, the laws that protect our clients, and the future of the music therapy profession in our state. I learned that advocating for music therapy can just be as simple as making a phone call to those with influence, and that I’m a part of a greater community of music therapists who love what they do! This time next year when you hear about Hill Day in your state, take the time to reach out to your music therapy community, ask them questions, and see how you can be involved. You’ll be amazed at how much you learn. Every Thursday morning, I have the opportunity to do one of my favorite things. I provide music therapy services at a day care. I absolutely love seeing their little faces light up when they see me walk through the door. 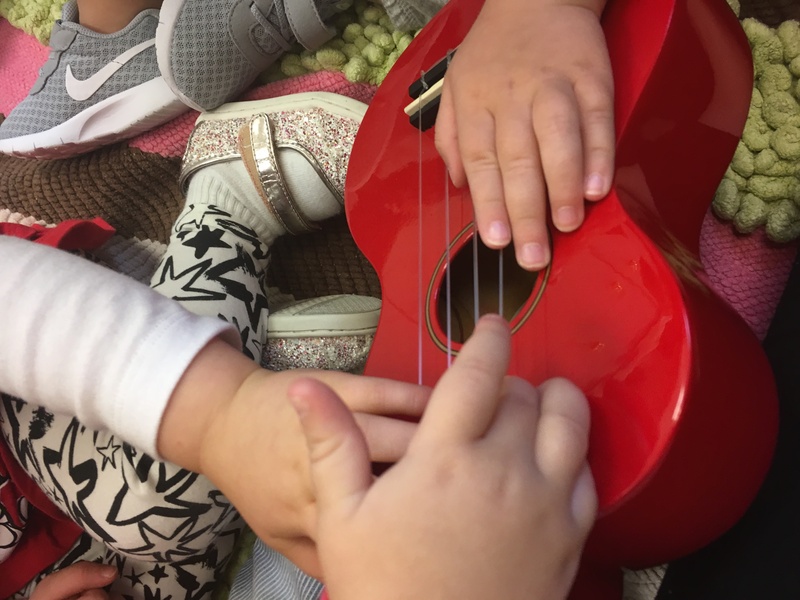 Even our littlest clients can’t wait for me to call their names for music time. We play familiar songs, from traditional to pop covers, and use them to exercise these little ones physically, mentally, and socially. 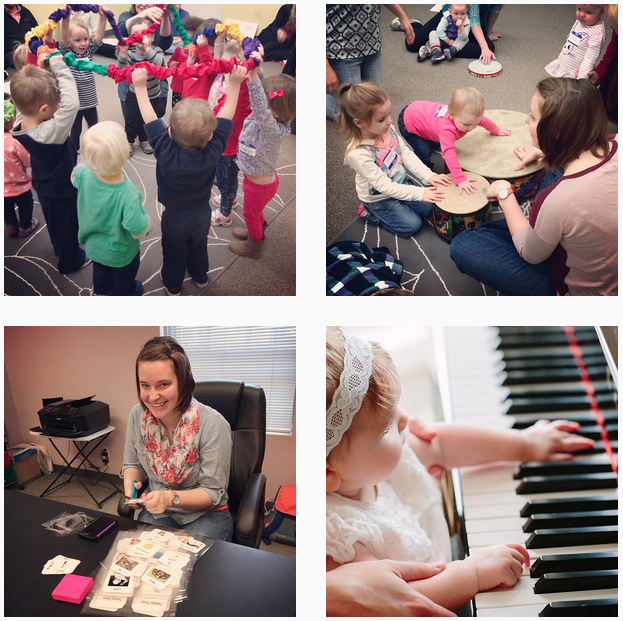 We share, play instruments, read stories, and are always learning new things. I have always loved working with children. 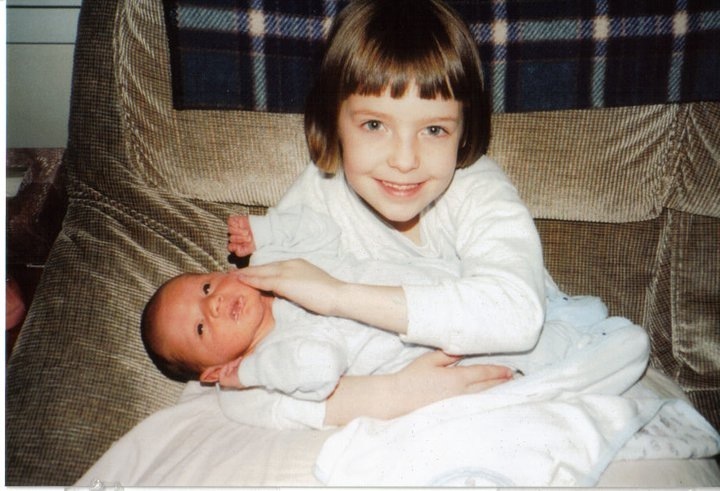 When I was seven, my baby brother was born. I was anxious to help him, teach him, and watch him grow. From the time my brother was born, my mother had a home day care. I would spend time after school and summers helping and playing with the children. My mother eventually went back to school, and I started babysitting my brother from the time I was eleven every day after school. Although he was still my annoying little brother, for those few hours I enjoyed taking care of him and keeping him safe. By the time I was fourteen, I had my first job babysitting two children all summer. It was hard work, but they taught me so much about being the best care taker I can be and how to really encourage them to success every day. It has been almost eleven years since my first official job working with children, and I am still following my passion. Now my baby brother is ready to graduate high school, and I am a music therapist using my love for child development every single day. What a wonderful career I have that I am allowed the opportunity to see these little ones grow and learn every day. MT-BC: What Does it Mean and Why is it Important? The moment I found out I passed my board certification exam was glorious. It was as if the entryway into the profession of music therapy had finally been unlocked and I was free to enter. Even as a beginning music therapy student, I remember being so inpatient. I was eager to have my own clients but often felt bogged down with all the requirements that I had to complete in order to get certified. I didn’t see it back then, but looking back, I see that that the time that I wished would pass by so quickly was put in place so that I could train, make mistakes, learn from those mistakes, repeat the lessons learned, and build confidence. I’m thankful that these steps exist because not only did it prepare me to enter the workforce, but it also provided my future clients with the assurance that they would consistently receive quality care. So what exactly are the steps that music therapists take to become board-certified? All music therapists must complete an approved degree in music therapy, whether it is at the bachelor’s, master’s or doctorate level. 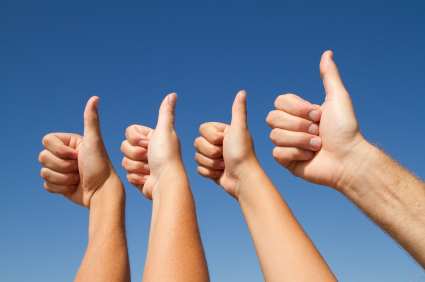 After the degree is completed, the next step is to complete an approved internship. After completing internship, the aspiring music therapist is then eligible to sit for the national board certification exam. 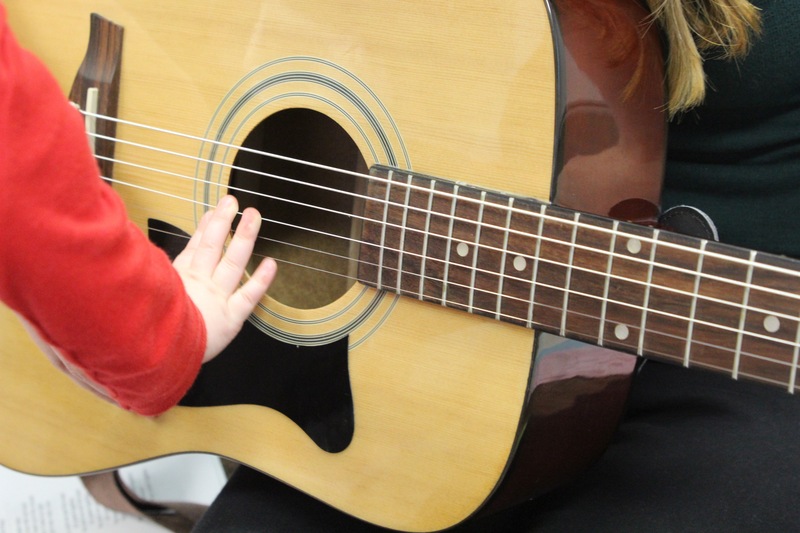 After passing the exam, he or she may use the credential “MT-BC” (Music Therapist-Board Certified). Once a music therapist is board-certified, he or she must continue to develop professionally and maintain the ethical and professional standards of the profession. What happens if I encounter an individual who uses music to help others but does not hold the MT-BC credential? Often times the term “music therapy” may not be used in the context of an evidence-based health profession that involves a relationship with a credentialed therapist. Rather, it is often mistakenly used as casual term to label a genre of relaxing music or products related to music and relaxation. When the public is misled to believe that music therapy is just the act of listening to a YouTube video titled “Music Therapy”, it creates confusion as to what board-certified music therapists actually do. Related music professionals, including musicians who perform in hospitals and volunteer musicians who sing in nursing homes, can use music to help others. While it may look like a therapeutic relationship exists between the musician and the client, only a board-certified music therapist is trained to incorporate evidence-based music activities to accomplish individualized goals, study the effect of music on clients, and promote measurable changes in behavior or function. Now that I’ve gone through the whole process of becoming nationally certified, I can appreciate the weight of what I do. Music therapy is an amazing profession that involves rigorous training and the opportunity to make a positive change in other people’s lives. As a board-certified music therapist, I can now be a part of a community of professionals that is passionately dedicated to the well being of their clients. For the student music therapist, that journey may look like committing to do your best in the daily grind of studying; to the new professional, it may look like researching ways to become more active in supporting music therapy in your community; and for others, it may even look like actively talking with legislators and asking them to create licensure for music therapists in their state. Wherever you may be, don’t be afraid of taking ownership of your profession. Don’t be afraid to ask yourself how you can continue to grow as a professional, and always remember that what you do matters!